A few years ago, I didn’t even know what a shortened URL was. Today, it’s all you see, everywhere, all the time. The rapid rise of Twitter brought a never-ending need to use as few characters as possible, and this need expanded to pretty much everywhere else. Before you get mad, I have nothing personal against short URLs; they’re less messy, easier to read, and, well, short. 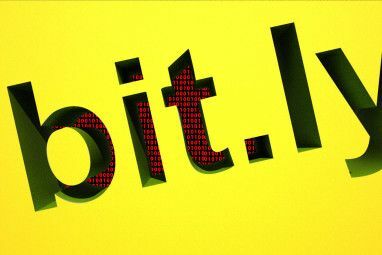 But as with everything, short URLs also became the stomping ground of spammers and phishers who take advantage of the fact that you have absolutely no idea what you’re clicking on. Phishing scams are becoming more common, and knowing exactly where a link leads to is imperative if you don’t want to become a victim of one. So what do you do? If you want to stay REALLY safe, just don’t click anything, but if you want to continue using the Web as its meant to be used, you can use quick and easy URL expanders. These expanders will immediately tell you where any vague, shortened URL points to, so you can decide if you really want to click it or not. Bellow you’ll find a comprehensive list of such services; some Web apps, some browser extensions, and even one Android app. CheckShortURL gives you much more than an expanded URL. While a bit hard to navigate, when you finally get down to the results, CheckShortURL can help you verify exactly what you’re clicking on, and how safe it is. On top of the full expanded URL, CheckShortURL also provides search links on Yahoo, Google, Bing and Twitter, helps you check if a URL is safe using Web of Trust Browse Safely With Your Own Internet Bodyguard Called WOT Browse Safely With Your Own Internet Bodyguard Called WOT Read More , McAfee SiteAdviser, Google, and others, and provides the full title of the actual URL. Sometimes CheckShortURL even manages to get a description, keywords and an author from the short URL. Very useful for when the expanded URL itself is just not enough. With URLex, you’re not limited to deciphering just one short URL. In fact, you can expand as many URLs as you want at once, either by using the interface above, or straight from your browser’s address bar. URLex provides only an expanded version of the URL, but comes in very handy if you have a batch of URLs you need to decipher. To use from the address bar, all you have to do is append your short URL or URLs to the website’s address like so: http://urlex.org/http://muo.fm/Z8nmTG. If you want to expand a batch of URLs, separate them by ***, like so: http://urlex.org/http://muo.fm/Z8nmTG***http://buff.ly/SMHUze. Click these URLs to see how it works for yourself! LongURL is a Web app, and also comes as a Firefox add-on or a Greasemonkey script. 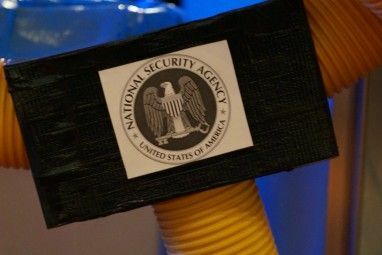 Unfortunately, the browser extension is outdated, and doesn’t work with the latest version of Firefox, but you can go ahead and try the script if you want. As for the Web app, for every short URL you feed to it, you’ll receive the long URL, along with its title, number of redirects, and some extra info such as Meta keywords and description. Did you notice that most of these websites don’t have the best design in the world? Well, neither does URL X-ray, but it sure looks better than most of them. This is a very simple website: you enter your short URL in the “X-Ray”, and get the full URL. That’s it. 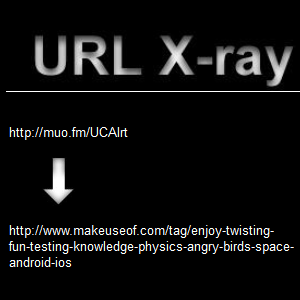 If you have to do this often, URL X-ray offers a bookmarklet for quick expansion of URLs on any Web page. After installing the bookmarklet, all you have to do is highlight a short URL, click on the bookmarklet, and voila! You know whether the link is safe to click or not. LinkPeelr is an easy way to check links and immediately visit them, if deemed safe. All you have to do is enter your URL and click “Peel”. The expanded URL will appear in the same box immediately, no new pages, no loading, no nothing. Like what you see? Click “Follow” to visit the link. 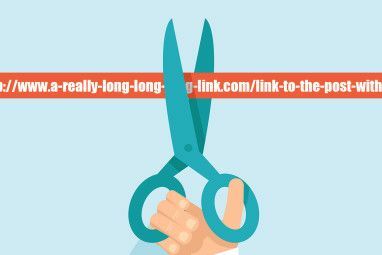 If you want to make it even simpler, install the LinkPeelr Chrome extension to get the full URL every time you hover over any short URL. The only glitch is that the extension doesn’t seem to work on secure websites (https://), which means it most likely won’t work on Twitter, but you’re welcome to try it and see how you fare. This is by far the best looking URL expander of them all, so if you like your tools to work and look good, this is the one for you. Besides looking good, Where Does This Link Go also has an amusing name, and actually expands to a full URL any short URL you give it. That’s all it does though – give you the full URL. If you want more info or an easier way to use the tool, look somewhere else. This one is for the context menu lovers. Miniscrul is a link shortener and url expander that lets you perform both tricks by using the right-click context menu. Want to expand a URL? Simply right click it, and from the Miniscrul menu, choose ”Expand this”. You can also follow the same path to shorten a URL, or to open a new window where you can paste a URL to shorten or expand. Pretty simple. A short while ago, an SMS phishing vulnerability was revealed which can affect anyone using any version of Android. If you want to stay safe with links even on your mobile, LinkBuster can help you expand any link you encounter, be it online or in a text message. You can run LinkBuster as is, and paste your link manually to expand, or choose LinkBuster when clicking on a link instead of your browser. LinkBuster not only expands the link for you, it also uses Web of Trust to scan it and tell you how trustworthy it is. If for some reason you don’t like any of these options, there are some more excellent browser add-ons that expand URLs which we’ve told you about in the past 5 Browser Extensions to Expand Shortened URLs 5 Browser Extensions to Expand Shortened URLs Read More . If you’re wondering where add-ons such as Xpndit, ViewThru and others went, check this post out to read about them. And as always, don’t forget to tell us about how you protect yourself from those fishy short URLs, and about any tool I forgot to mention! Custom personalized cheap official soccer jerseys from us. Jersey authentic cheap price and fast free shipping from china. Who do you want to gift for cheap Leodis McKelvin jerseys? Hey, thank you so much Yaara and MakeUseOf for your review of http://checkshorturl.com. I looked at the website again, and realized there was a feature that didn't work properly when I tried it the first time. The PagePeeker which is supposed to show a screenshot of the website the link leads to didn't work when I tried it out for the post, and I wasn't even sure what it was supposed to be. The first times I tried it it took me a few seconds to even find the results. This is why I said it was a bit hard to navigate. Trying it now, the feature actually worked, so all's good now. Thanks! Very good article. I think LinkBuster is useless if an Android user have Avast on his smartphone. Interesting, I have Lookout on my phone and never tried Avast. Good to know, thanks! I'm still not sold to short URL. They give me headache and I don't like having to use another program to decipher my destination. With long URL, I can hover and have a glance to decide whether I'll click it or not. i hate those who use those URL-shortener-pay-per-click thingy. To make matter worse, some do a double URL shorterner but end up not being the site that was suppose to be. Agreed, double shortening is really annoying. Although something people just copy a short URL and Twitter shortens those again, and they end up with a double without intending to. Fair enough if its twitter that shortens it. But what i'm saying is the shortener that you have to wait 5 sec then click skip at the top right corner. Interesting, I did a search on Google Play and found this [Broken Link Removed] . This expands and replaces the url in the body of the page, which may not to be everyone's liking. Personally, I prefer the lack of hassle involved. There's a few others if anyone's interested in taking a look at those. I had it. :-) But I prefer Google Url or "ShortURL"app. They're available on Chrome. I believe I actually tried this one and it didn't work right, so I didn't include it. Same goes for several others. It might have been something on my system, but I can't recommend an extension that didn't work for me. Thanks for finding them, though! Very funny, because at CheckShortURL, the lists of sites showed the previews of por-n pages. My favourites are CheckShortUrl, URL X-ray and Where Does.